Please email your MP and ask them to attend. For many years, until at least the 1980s, pregnancy outside marriage was severely frowned upon, and frequently young women who found themselves in this situation were given little choice but to give in to the strong pressures which were exerted on them by the authorities and have their babies adopted. They were not given information about the welfare services, including housing and financial help, which were available at the time. There was no question of these women being found to be unfit mothers; they were simply prevented from becoming mothers at all. This experience so traumatised many of these women that they have suffered years of mental and/or physical ill health ever since, and many were unable to have more children. In some cases, fathers also, even when wishing to help, were refused a say in their child’s future, because the child was classified as illegitimate, and thus these fathers also became unwilling parties to these adoptions. 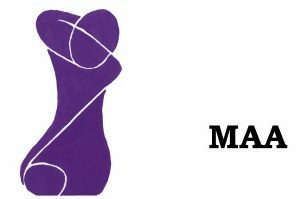 The members of the Movement for an Adoption Apology (MAA) began their campaign to obtain an apology for past adoption practices in 2010, after hearing that the government of Western Australia had apologised to women and their children who had been forcibly adopted. Then each State apologised, culminating in a National Apology by the then Prime Minister Julia Gillard on 21 March 2013. Here in the UK, there have been many attempts to get those in power to listen – and to apologise. A documentary, commissioned by ITV and made by Ronachan Films, called ‘Britain’s Adoption Scandal – breaking the silence‘ – broadcast in November 2016. The Movement for an Adoption Apology was not deterred, and met with Jonathan Ashworth MP who was very keen to progress the case, however as he is a minister they were referred to Alison McGovern MP and Stephen Twigg MP. They decided that the best route to follow would be to try and get a debate on ‘Historical Injustices in Adoption Practice’. This is the result … VICTORY!!! It has now been confirmed that the Backbench Business Committee has provisionally allocated a three-hour debate on ‘The practice of forced adoption in the UK’ in the Chamber on 12 July 2018; a first debate. We strongly encourage you please to urgently email your MP and ask them to attend. And please sign and share this petition. The Movement for an Adoption Apology needs as much support as possible for this landmark event.